Will Sharpen, Inc. primarily is a professional full-service sharpening company; however, we also repair Andis clippers. Be sure to include a detailed note explaining the desired clipper repair for each Andis clipper repair you send us, including any visible damage to the clipper itself (such as a cracked housing). Please contact us in advance for any other clippers repair or other grooming equipment repair you would like us to consider. Please note that, though we will sharpen Laube brand clipper blades, we do not repair or service Laube brand clippers. We are pleased to announce that we have expanded our mail-in clipper repair territory to include Hawaii, Alaska, and all US territories. We will continue to stand by our low flat rate shipping fee; no additional shipping fees will be applied to service orders within these locations. If you need spare clipper or clipper blade parts for your own maintenance needs, contact or call us at 1-800-218-1827, and we will be happy to either include them with your sharpening order or send them to you separately. We understand the importance of fast, reliable clippers repair service and will return your clipper repair to you as soon as possible. However, we cannot provide the same “three (3) business day return policy” with clipper repair orders as we do with sharpening orders due to the nature of clipper repair service. We must allow for unforeseen issues such as having to order special parts. Please be sure to pack your clippers securely and protected. They should not rattle or shake around in the box during shipment to us. This may cause further required repair to your valued clippers, and we cannot be responsible for the additional cost those added repairs could entail. An ounce of prevention is worth a pound of cure. We do our clipper repair business the old fashioned way, with honesty and integrity, only we do it with the latest technology. Our goal is to glorify God and to offer our customers the same, or better, quality of service that we expect of other companies. We strive to ensure our customers’ satisfaction, and will fully resolve any clipper repair problems that may arise. You may also want to consider purchasing new clippers. Check out our storefront for our Andis clippers and Andis clipper blades. 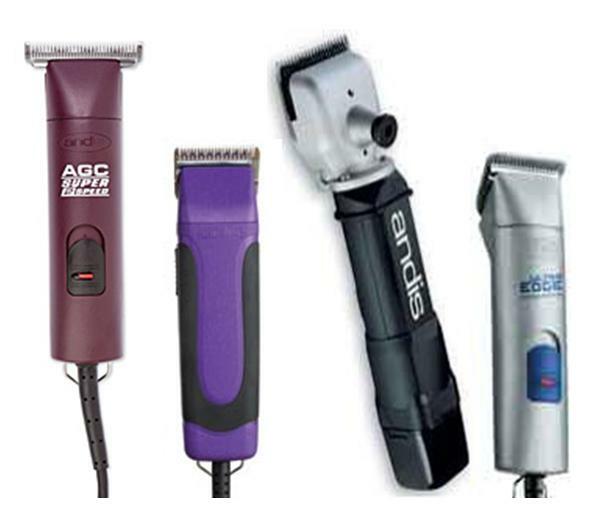 We specialize in Andis clipper repair. Please contact us in advance for any other brand clipper repair or other grooming equipment repair you would like us to consider. Please note: Though we can sharpen Laube brand clipper blades, we do not service or repair Laube clippers. 1. Briefly explain the repair needed for each clipper. 2. Provide brand of clipper and model, if known. 3. Enter quantity of clippers being sent for repair. 4. Click Add to Cart and proceed to checkout. 5. Select any method of payment; however, we may contact you for further payment to cover parts needed for the repair. We will notify you via the phone number you provide during the checkout process once the repair is complete. At that time, we will give you the total amount of the repair(s) [repair fee(s) plus parts] and request your desired payment method information for the total amount due. Your clippers will be sent back to you upon receipt of payment. Please Note: WillSharpen reserves the right to retain a small fee for diagnostics even if the clipper is unable to be repaired, but that fee would never exceed the $15 labor fee of the clipper repair. Alternatively, a customer may apply the full $15 repair fee of an unrepairable clipper toward the purchase of any new merchandise from our online storefront. To send your clipper(s) to us: You may combine your sharpening and repair orders in one package. Pack all items securely; there should be no rattling in the package. However, a clipper repair may delay the typical return time of our sharpening orders. If you need your sharpened items back quickly, you may want to consider processing sharpening and repair orders separately. We recommend that you insure your package as we cannot be responsible for lost or damaged packages in transit to us. We also provide the option of insuring the return package of the repaired clipper. Optional Payment Method: If you would like to pay for the entire amount at one time, you may select "check" as your payment method during checkout and enter "0" as your check #. When we contact you with the total repair cost, you may pay for the entire amount via your desired payment method instead of two separate payments. Please enter the Brand and model (if known) of each clipper. Parts will be billed separately. We will include an adjusted sales receipt in your returned package or email a receipt to the email address you provide with your order for your accurate records.